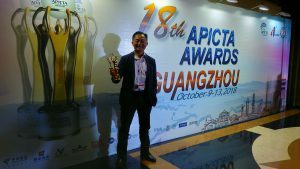 EBSL is honoured to win APICTA awards in two contesting categories at the 18th Asia Pacific Information and Communications Technology Alliance Awards 2018 (APICTA 2018). EBSL is glad to be part of the Hong Kong delegation who brought Hong Kong to the glory of a total of 19 awards among 260-plus entries in 10 contesting categories. 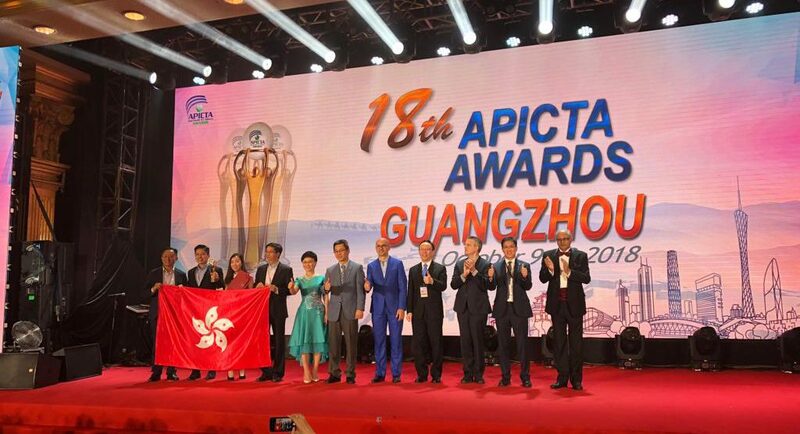 The APICTA Awards, held from October 10 to 13 in Guangzhou this year, is often dubbed as the Oscars of the ICT arena in the Asia Pacific region. The use of IoT technologies for the inter-connectedness of physical devices to enable solutions to extract data or to create new information to improve efficiencies, accuracy and/or economic benefit and reduced human intervention. These include new methods to enable businesses, governments, and consumers to connect to their IoT devices, sensor technology and smart technology including remotes, dashboards, networks, gateways, analytics, data storage, and security. For services the core value of which is to deliver the digitisation of citizen services and improve efficiencies in the machinery of government. Solutions will be developed by all levels of government or government in collaboration with industry partners. 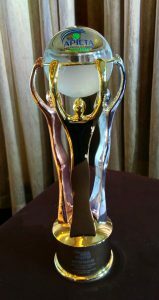 This Award is presented for outstanding ICT innovation dedicated to delivering improved government service delivery or other Digital initiatives for the public. The invention – Intelligent RFID-embedded Baggage Loading Robotics for Automated Baggage Reconciliation is awarded by professional judges from 16 countries and territories across the Asia Pacific region as the best IoT technology of the Year. The Awards also recognize EBSL’s superior capabilities in applying cutting-edge IoT technology into real-life applications to support business innovations and digital transformation. EBSL is thankful to the great support from the Airport Authority Hong Kong, Hong Kong Computer Society and APICTA to make all these happen. HKSARG Press Release at https://www.info.gov.hk/gia/general/201810/13/P2018101300859.htm. 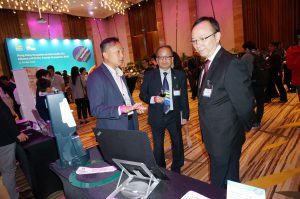 APICTA is an annual flagship event of the ICT industry in the Asia Pacific region. Founded in 2001 by Multimedia Development Corporation in Malaysia, it has become a renowned international award today. 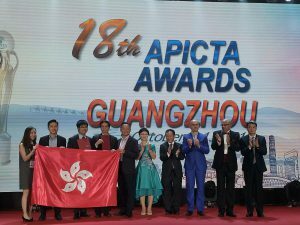 APICTA aims to recognise organisations and individuals in the Asia Pacific region who have made a significant contribution to the ICT industry; increase ICT awareness in the community; stimulate ICT innovation; provide opportunities for business matching between IT innovators and investors; and facilitate technology transfer and application. 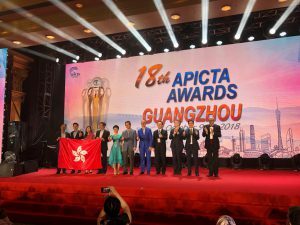 APICTA is represented by 16 countries and territories across the Asia Pacific region, including: Australia, Bangladesh, Brunei, China, Chinese Taipei, Indonesia, Japan, Hong Kong SAR, Macao SAR, Malaysia, Myanmar, Pakistan, Singapore, Sri Lanka, Thailand and Vietnam. These member economies take turns hosting the annual awards each year, which is won through a bidding process. For more information, please visit www.apicta.org.